There’s nothing like fresh green grass in the summertime. When the temperatures are inviting you outside, it’s nice to have a lush, green landscape to look at in your yard. Unfortunately, maintaining this landscape can be a challenge. This is where a home irrigation system comes in. Having sprinklers to do your watering automatically will make maintaining your landscape easier. Even though you can expect some upfront costs and installation, it will be worth it for years of watering. If you are curious or thinking about buying an irrigation system, this article is going to cover all the basics you need to know to make the right decision. It’s important to know what goes into a residential system, how it’s installed, and things you need to consider before purchasing one. A residential irrigation system is simply a bunch of pipes and sprinkler heads dug into the ground, either a drip-line system which delivers the water directly to the roots and doesn’t need the pop-ups, or a sprinkler system with pop-ups which come out of the ground and visibly water the lawn. They both deliver water out to the grass on a regular and programmed basis. They make it easy for owners to set the appropriate time and frequency their grass is watered. Irrigation systems like this are great for consistent watering. They also make it possible to water at night and early morning when less water will be lost due to evaporation. If you happen to travel frequently on holiday in the summer months, this is also a convenient method to make sure your grass is well taken care of and you return to a healthy green lawn. Finding the right residential irrigation system requires a bit of knowledge and research. The installation process requires some digging into your lawn, which will cost time and money. It’s best to make the right decision the first time so you aren’t having to dig up your lawn to fix mistakes. Having a professional install your irrigation system with high-quality materials will save you money in the long-run. If you suspect there is a leak or breakage in your system it can be a complicated and invasive process to fix – so invest that little bit extra in your system for peace of mind! Residential irrigation systems are made up of several different components that are designed to deliver water to the grass. The most important part of the whole system are the pipes. These connect all the individual elements. Pipes are connected to the home’s water supply or to a bore and then branch out towards the watering heads. Sprinkler heads will be placed throughout the yard to cover all of the grass with water. 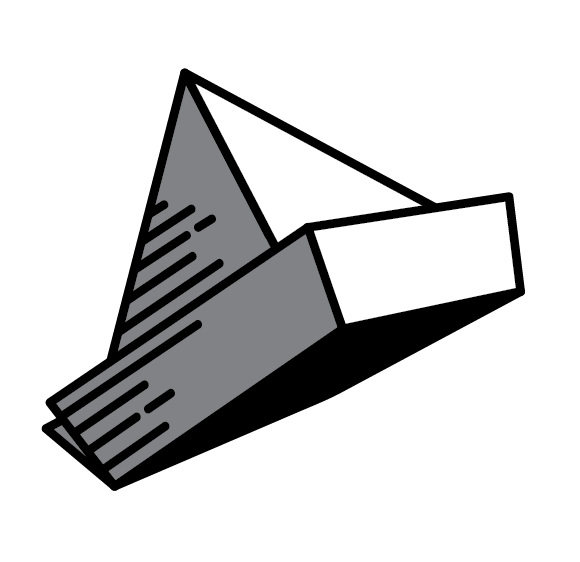 These come in two varieties: fixed and rotating. There are other smaller parts such as valves (solenoids) and control systems that you will be required to get familiar with as well. If you find anything confusing or don’t understand the purpose of something, research or ask the installation specialist. It’s important to have a clear idea of what you are buying ahead of time before anything is installed. 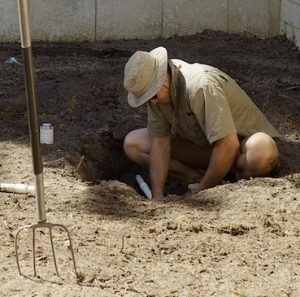 Since installation of any home irrigation system requires the digging of trenches in the yard, it is best done when there is no grass on the surface. 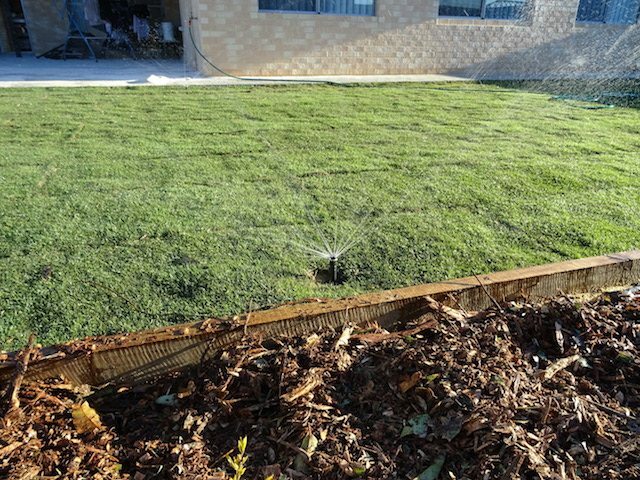 Most new homes either come with a home irrigation system as a standard or extra option and will be installed ahead of time before the grass itself. If you already have grass, it is still possible to install an irrigation system. Any grass that is ripped up and dugout will have to be replaced, but this is a minimal task in order to have consistent watering. The installation process itself is fairly straightforward. The professionals will dig trenches throughout the yard. They will most likely mark the location of future sprinkler heads ahead of time before breaking any ground. 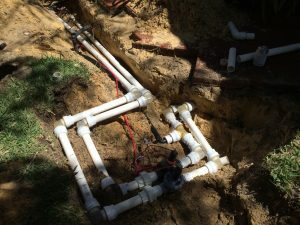 Once everything is dug out, they will lay the piping in, install the sprinkler heads, and connect everything to the main water source. They will then cover everything up and make any repairs to the existing grass if necessary. If you’re thinking about installing your own home irrigation system, there are several things to think about as you are planning out the system. No system is identical to another. The most important influence is the surroundings in the yard. Things like tree roots, the house foundation, and other underground obstacles will have to be considered. It is best to map out and find these potential obstacles ahead of time so you aren’t damaging equipment or pipes as you install the system. Your intended use is also an important factor to think about. Each irrigation system is designed for a particular amount of use. For example, if you plan on watering your lawn a couple times a week, you’ll be able to pick equipment that isn’t designed for more strenuous activity. The coverage of the yard will need to be planned out ahead of time. Since some yards have odd angles, curves, and other sections that aren’t easily covered by a single head, you will need to determine what types of sprinkler heads you will need for optimal placement. For rotating heads, in particular, you will want to determine the best aim and arc of rotation. Finally, you think about how you plan to winterise your system for the colder months. Even if you live in a temperate environment during these months, it is very easy to do damage to the system if water is allowed to linger in the pipes. Cold temperatures, in particular, can cause permanent internal damage to pipes if they freeze. Usually, the only solution for this kind of damage is a partial or complete replacement of the connections. Sprinkler heads can also take damage if water droplets are left to freeze them. Again, having a professional do the install means they will safely install the system without damage to your garden and plants, test the irrigation system for complete coverage, and be able to programme the system correctly for your location and requirements. Making the right decisions requires a bit of knowledge and research ahead of time. This process, however, doesn’t have to be difficult as long as you have the right resources. Talking to an expert will help you have an idea of the time and cost involved, and they will be able to advise you on the best system for your needs. Having a person or company to handle the more complicated matters is also important. Professionals exist for a reason. Unless you have extensive experience with residential irrigation systems, it is best to leave the main work to these professionals. If you want to install a home irrigation system, we can help. Check out the services we offer or feel free to get in touch for more information.